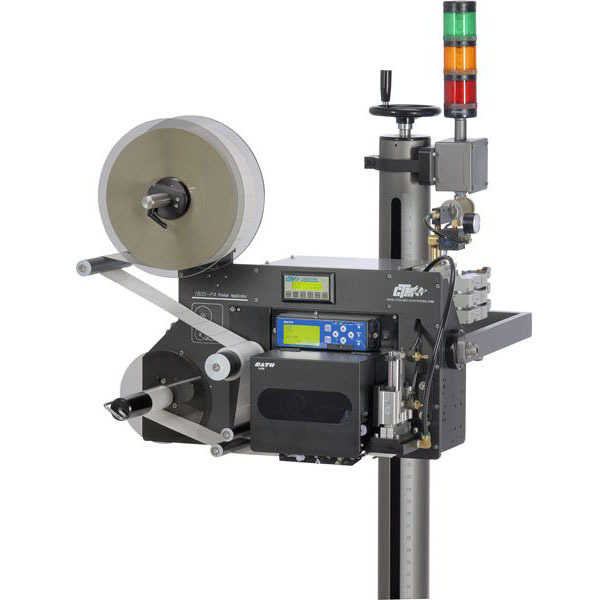 The 1800PA Printer Applicator is a thermal transfer labeler for entry level, low cost applications used to print and apply pressure sensitive labels to various products. A Sato Lt408 print engine is integrated into an applicator to form a self-contained unit to print variable data. Assembled with right or left hand configurations, the unit can be mounted in various positions to apply labels to the tops, sides or bottoms of a multitude of products with its proven tamp-blow application.